And here comes the last part of our retrospective of our summer in the campsite LA PORTE D’AUTAN, near the “entertaining” animations. This year, many novelties in the campsite, in particular with family and friendly animations in the evening. The first evenings cinema and WII party took place for the pleasure both young and older. Moments of sharing, reunions and conviviality in family, between friends or campers, all that we like in our small family campsite. And then it also allowed us to discover talents with our dancers. 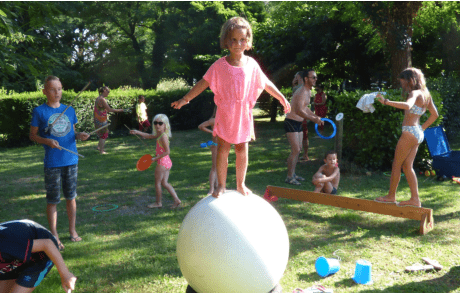 Repeatedly during summer, our campers of irrespective of age were able to learn about the circus : balance, manipulation of objects: balls, the Chinese plates, diabolo, rings, the stick of the devil … A great experience renewed. The night in the swimming pool which allowed to take advantage of the swimming pool until 10 pm. A real happiness especially with the strong hot season which we knew this summer. A session Belly Slides: organized specially further to a bet with a customer! We spent a pleasant moment so much to organize it that to look at it and we laughed a lot! 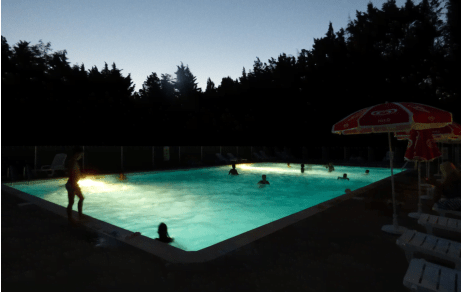 Now, you know everything of our summer, 2018 in the campsite LA PORTE D’AUTAN to Saissac. For us in any case, full of wonderful memories together with our campers come from all backgrounds.